The Stables – £200.00 per week is required to cover any damage or breakages to the property as per our Terms & Conditions – see below. The Square – £100.00 per week in addition to the deposit above is required to cover any damage or breakages to the property as per our Terms & Conditions – see below. 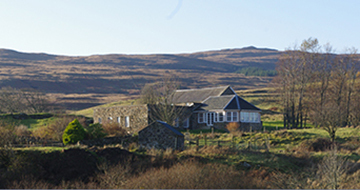 The Dairy and The Byre – no deposit required. Please note than payment of your deposit confirms that you accept our terms and conditions – Please read below. Tentative bookings for a maximum of 12 people are welcome for any future date but must be confirmed when requested. No booking can be confirmed without an advanced payment of 25% of the total fee for the holiday, together with the completion of the booking form and acceptance of the Terms and Conditions.The remaining 75% and the correct damages deposit must be in the owner’s bank a clear 6 weeks before the start of the holiday. Substitute bookings may be accepted if payments are not made when due and any deposit may be forfeited. The owner will acknowledge receipt of payment. Bookings made through the online booking system are provisional until confirmed by the owner. The house may not be sublet and the hirer is asked not to allow more than the recommended number of people to reside in it at any one time. The Stables is for a maximum of 12 people, the Dairy and Byre for a maximum of 2 people and the Square is for a maximum of 6 people. 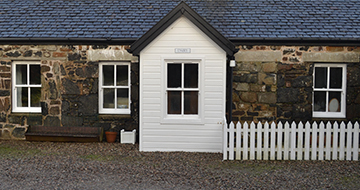 There is a damages deposit of £200 for the Stables and £100 for The Square in case of the need for repairs, replacements and or additional cleaning made necessary as a result of the hirers actions. At the discretion of the owner, this deposit is returnable in whole or in part and will be repaid, if appropriate, within 2 weeks of guests’ departure. A signed Booking Contract, together with the owner’s acceptance of a deposit, constitutes a legal contract. Therefore, if a booking is cancelled by the hirer, the full fee for the period remains due. It is advisable to insure against this risk. However every effort will be made to re-let the property on the hirer’s behalf. 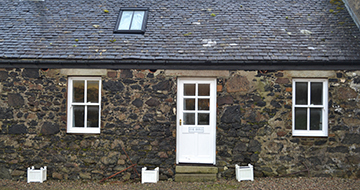 A maximum of 2 dogs is permitted in the Stables, the Byre and the Dairy Cottages. Dogs are not permitted in the Square. There is a £15 charge per dog per booking. Dogs must not be left unattended in the property at any time. They must bring their own bedding and not get onto the furniture or go into rooms with carpets. Dogs should be wormed and treated for fleas before arrival, and must be walked under close control at all times on the farm. Pet owners must ensure that they clean up after their pets in the gardens and around the properties. 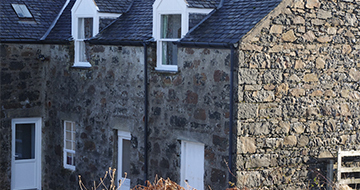 The properties are available from 5.00pm on the day of arrival. The properties must be vacated by 10.00am on the day of departure. Non-compliance with the rule of departure may be charged at the rate of £20.00 per hour or part thereof. Wi-fi (in the Stables only) and heating are included as is linen for all beds but not for the travel cot (if applicable). We do provide tea towels, bath mats and hand towels in the price of the rental and some logs are provided for your arrival and more can be purchased locally. Together the hirer and the owner may at the owner’s discretion check the inventory before the departure of the hirer. The hirer will be required to pay for damaged or missing items including fixtures and fittings and such other items as may be listed therein. The properties are cleaned before each arrival, but hirers are asked to leave the properties clean and tidy. Cleaning equipment is provided. Extra cleaning required will be charged at £20 per hour. Telephone and Wi-Fi are available in the Stables only. Whilst the Wi-Fi is not unlimited, it is adequate for normal use. There is an honesty box for use of the phone and excessive internet use. Should the itemised bill exceed the hirer’s contribution, we reserve the right to invoice the hirer for these costs. The owner shall be allowed access at all times. The owner or his representative shall not be liable to the hirer, his family or his guests for any loss or damage to their possessions in the premises or grounds, or for deprivation of occupancy through force majeure, Acts of God and the like, or for any personal injury.